A way has been found by the researchers in order to produce a high quality, more stable fuel from biowaste. For example: sewage which is simpler as well as cleaner than existing methods. 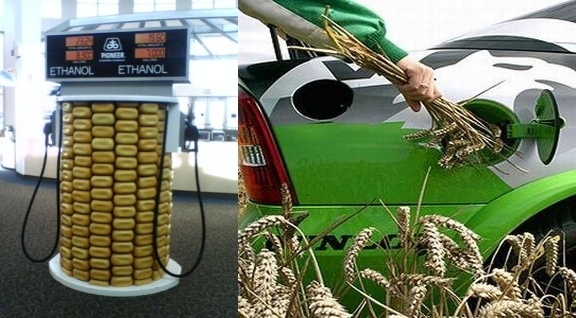 According to Hua Song, an associate professor of chemical and petroleum engineering at the University of Calgary, for being a good substitute for fossil fuels, this puts biofuel closer. The research of this team has been published in many newspapers and journals. Currently the world energy market is dominated by fossil fuel so, renewable energy sources are becoming increasingly desirable with the increasing concern towards surrounding climate change and dwindling resources which have been associated with the use of fossil fuels. Researchers said that these are the fast growing energy sources currently. The team of researchers have converted bio waste into biofuel in a complex two step process. In which the first step is converting biomass into bio crude with the help of chemical and thermal process. In general, crude oil is that oil that has not been refined as well as it contains impurities. The next stage is a form of refining in which hydrogen has been added under high pressure and heat along with it has been served in order to remove contaminants. For example: Nitrogen, Sulfur and oxygen. However, Hydrogen is expensive and it has been concluded by the researchers that the two stages are energy intensive along with carbon waste has been left in the form of char and CO2 emissions. In order to reduce dependency on fossil fuels, a process is counterproductive as there is a production of harmful green house gases by fossil fuels. Song and his team have set down their efforts in order to simplify the conversion process so that it can be sustainable, clean as well as cost effective. In this regard, a process has been developed by the research team with the help of which bio-oil can be produced and upgraded in one step simultaneously without any need for high pressures. For the purification process, methane has been used by the researchers instead of hydrogen directly in the crude stage. During the purification process, they had to chemically remove the hydrogen chemically from the methane since hydrogen is needed to be removed its impurities. A novel catalyst has been developed by the researchers with the help of CLS that has reacted with methane in order to trigger it to release hydrogen. By using this way, the scientists and researchers will be able to know that which coatings would react best with the methane in order to release hydrogen gas. This new approach of producing biofuel from bio waste is more efficient as well as lower potential production costs than the existing method.